Enchant audiences with VSQ's breathtaking rendition of the hit ballad from the motion picture and Broadway production Once. 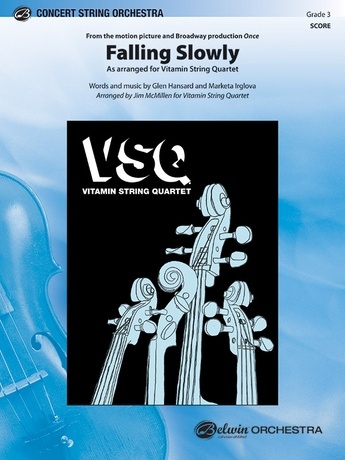 Vitamin String Quartet (VSQ) is an innovative collective of classical musicians who create and perform cutting-edge string renditions of classic and modern rock songs. Fusing virtuoso technique with the hits of contemporary artists, VSQ has sold millions of recordings and amassed an incredible following, especially among high school and college students around the world.